Dairy is a huge portion of the American diet, whether it be fresh milk or products like yogurt, cheese, butter, etc. Dairy products provide essential nutrients to those who consume them, but most people have no idea how a dairy actually works. 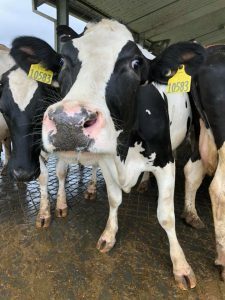 Let’s take a look at a Florida dairy and learn about the lives of dairy cows! 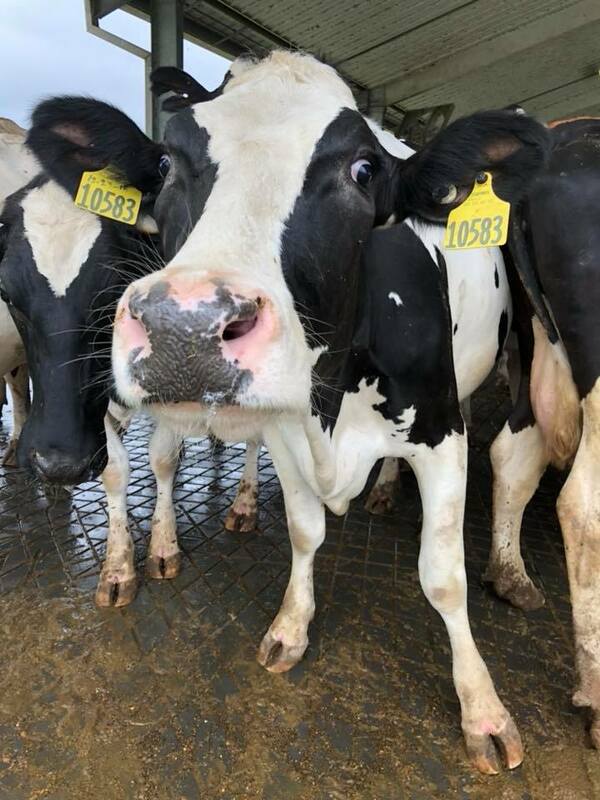 Dairy cows don’t like to be hot which makes raising them in Florida difficult. Shenandoah Dairy, in Live Oak, takes a unique approach to keeping their cows cool. 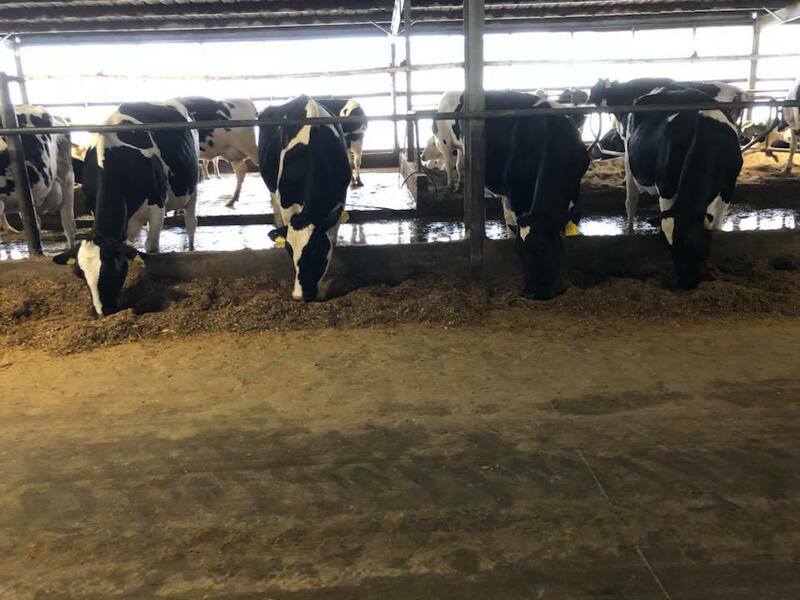 The cows live in a free stall barn, meaning they have the option to eat, drink, and lie down at their will. The barn is fully enclosed but one wall is covered in high power fans. 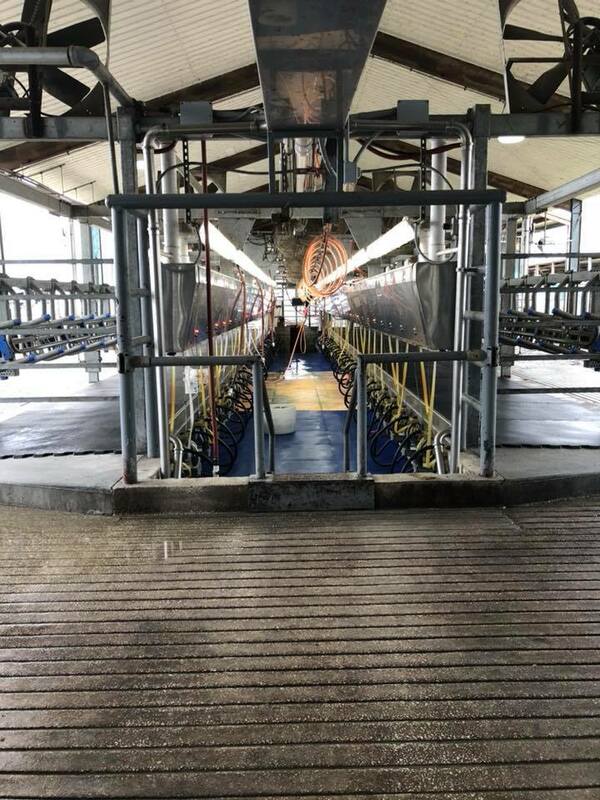 The fans keep a constant 12 mph breeze flowing through the barn and automatic sprinklers fill the air with tiny droplets of water every few minutes. This wind and water help the cows cool themselves, keeping the barn in the mid-70’s even though it is reaching 90 degrees outside. The stalls are filled with sand which gives the cows a soft place to land and also helps keeps the cows from slipping on the concrete. 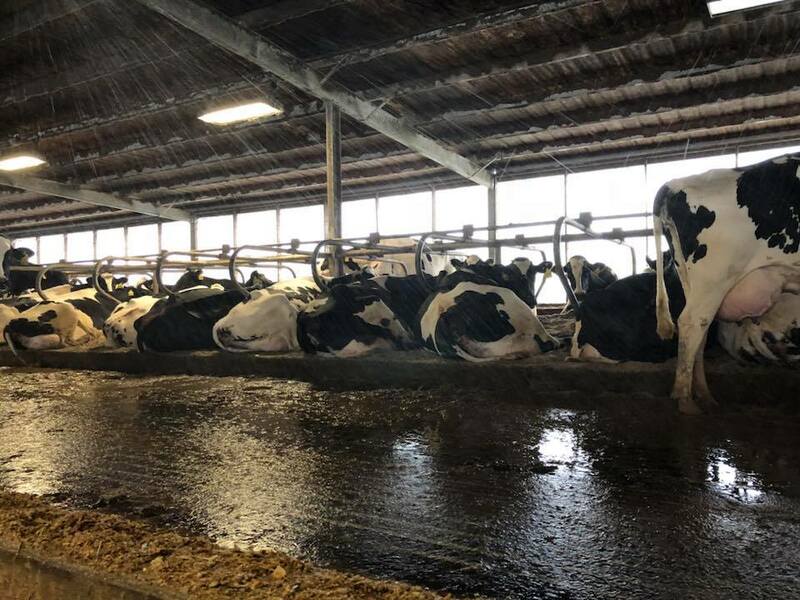 Concrete is used in most barns because it is easily cleaned and maintained for long periods of time, 1300 pound cows can do a lot of damage if the surface isn’t strong. The barn is washed every few hours to help keep the cows clean and disease free. 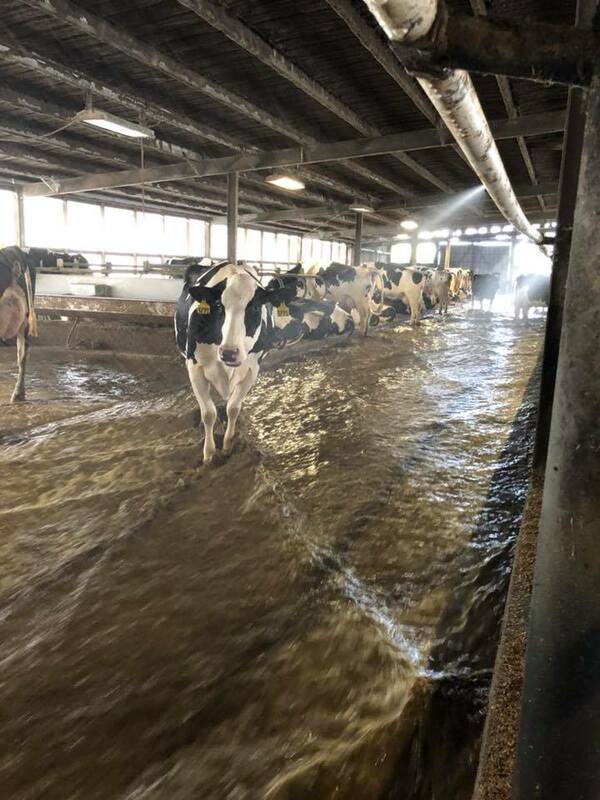 The water runs through the alleys of the barn, meaning the cows laying in their beds won’t get wet, but a lot of cows don’t mind standing in the moving water since it helps keep them cool. Once the water runs through the barn it is collected and filtered. 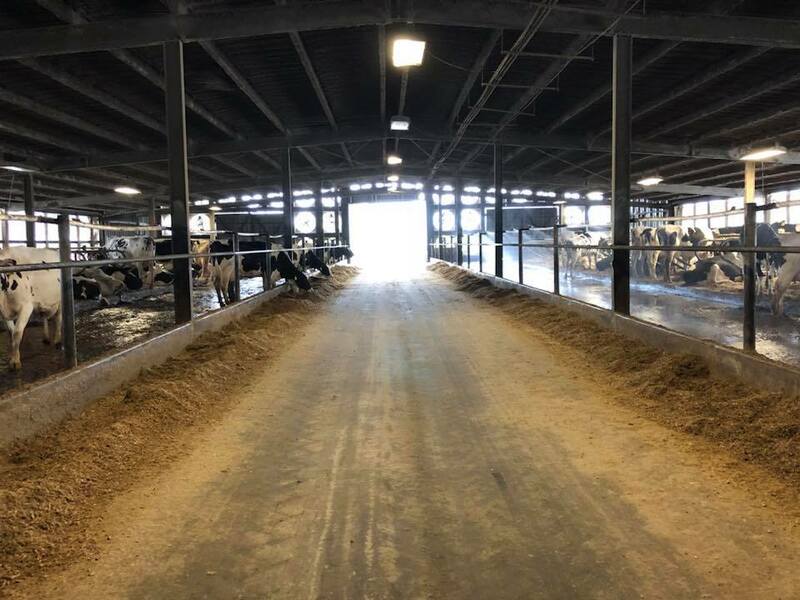 The sand is filtered out and eventually will be reused in the beds of the barn, the solids are filtered out and sometimes composted for manure fertilizer. The water used to wash the barns is cleaned then used rewash the barns or to fertilize crops. Dairy cows are fed a diet made especially for them. The cows at Shenandoah enjoy products like corn silage, citrus pulps, cottonseeds, ground corn, and grass hays. Most of the products are grown right here on the farm, can’t get more local than that! These cows have free access to feed and water at all times. Shenandoah uses a Double 50 Milking Parlor, meaning 100 cows can be milked at time. The cows each have an RFID tag which helps the milking machine track how much milk she gives every time. The sensors in the milkers automatically stops the vacuums and drops of the udder of the cow when she’s finished. Shenandoah milks 3,600 cows which produce around 36,000 gallons of milk a day! This milk is cooled immediately and loaded onto tankers to be taken to the bottling plant. 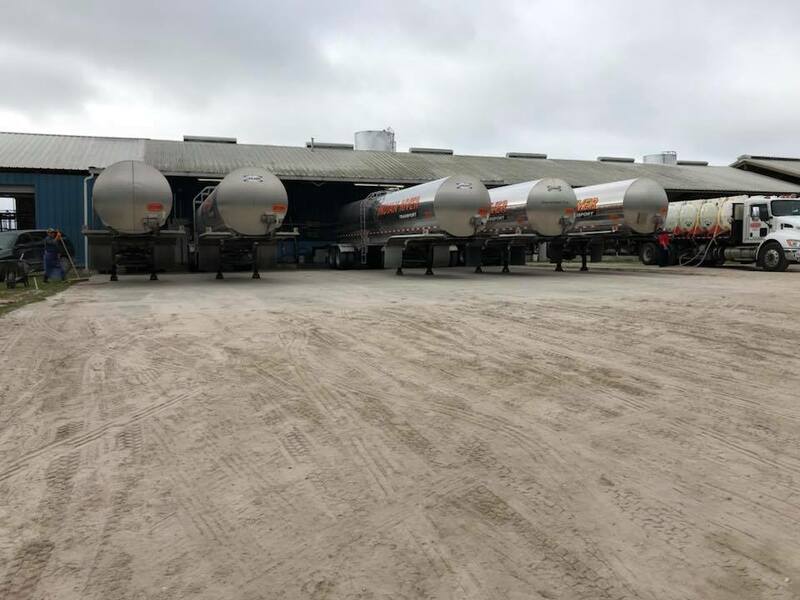 Each tanker can hold 6,000 gallons of milk! Have more questions regarding the dairy industry?